What can I do? You can go to Hell, Elena. Elena: What can I do? Jeremy: You can go to Hell, Elena. 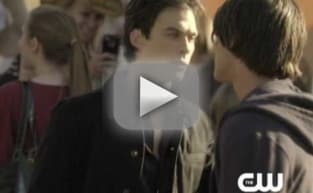 The Vampire Diaries Season 1 Episode 22: "Founder's Day"
Permalink: What can I do? You can go to Hell, Elena. Elena : I think you should stop with the flirty little comments and the eye thing you do. Elena: Don't make me regret being your friend. The Vampire Diaries Round Table: "Founder's Day"